Digital Transformation (DX) is one of the, if not the, most crucial initiatives that many organizations have undertaken or are taking up. The perfect storm of a wide range of technologies such as SaaS, Mobile, Robotics, IoT (Internet of things), Virtual Reality (VR), etc. is playing a crucial role in the Digital Transformation (DX) of companies. 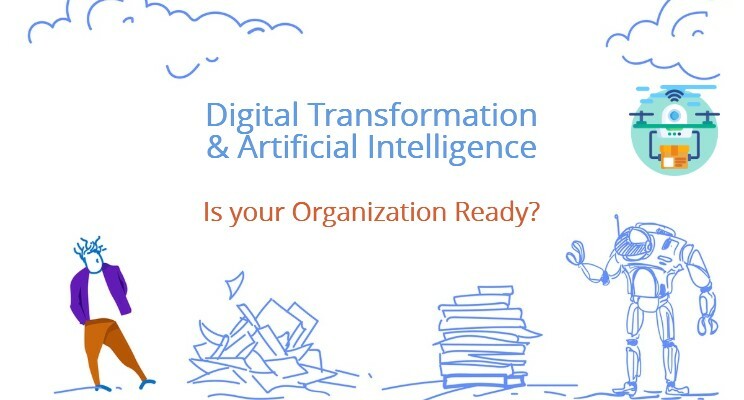 However, it is our belief that Artificial Intelligence (AI) and Machine Learning (ML) will be the key technologies that will propel organizations through the Digital Transformation. Thinking about Artificial Intelligence (AI) may seem like thinking of a futuristic world akin to those in science fiction movies, but in actuality, the lines between reality and fiction have blurred. AI is changing the world and the lives of people and is becoming the engine of growth of economies and organizations. Whether it is a simple Google Search, a conversation with Amazon Alexa or Google Home or Apple’s Siri, or a simple Chatbot on some website you visited, you may already be interacting with AI/ ML driven tools and – well – bots – in many of your daily activities! This, without a doubt, is changing the way we perform our daily activities, organize our work, our business and how we take decisions in our everyday lives. According to International Data Corporation (IDC), by the end of 2018, at least 40% of organizations will have a fully staffed Digital Leadership Team versus a Single DX Executive Lead to accelerate enterprise-wide DX initiatives. And by 2019, 40% of all DX initiatives will be related to AI. By 2020, web interfaces will be quite diversified, with 30% of all web browsing sessions will be done using Augmented Reality (AR) and about 50% of all new mobile applications will have voice as their main interface for people to use them. According to Accenture Research, “AI is the collection of multiple technologies that allow machines to detect, understand, act and learn either on their own or to augment human activities”. They will have many of the capabilities of a human being – the ability to learn and distinguish between things. But they also have a great advantage over humans – they do not need to rest to function! The same Accenture study reveals that AI could double annual economic growth rates by 2035 by changing the nature of work and create a new relationship between Man and Machines, increasing labor productivity by up to 40%. Artificial Intelligence (AI) is already present in many of the services we use every day, even when we may not be aware of them. For example, when Amazon suggests products you might want to buy, it is using a system based on AI to suggest a product based on your previous purchases and what other people have bought after buying what you are buying (Suggested Products). AI is beginning to mature to the point where it can learn without human interactions. AI tools are becoming an integral part of many organizations, both in the public and private sectors. It is being applied to help in the improvement of performance of Government agencies, in their service levels and accountability and develop solutions focused on the well-being of Citizens. Artificial Intelligence is not something new. To trace the origins of this concept that sounds so innovative, we have to go back to the year 1956. During the summer of 1956, a group of scientists met in the University of Dartmouth, New Hampshire and coined the term ‘Artificial Intelligence (AI)’. These researchers worked for two months with a clear objective: to find a way to introduce the behaviors of human rational logic into machines. 62 years have passed and there has been many investigations, some successes and some failures, in the effort to get machines to think like humans. Interest in AI began to revive in the late 90s when IBM’s Deep Blue Supercomputer defeated the great Russian chess master Gary Kasparov. Kasparov detailed this experience in his book “Deep Thinking: Where Machine Intelligence Ends and Human Creativity Begins“. In an interview with PRI.org recently, Kasparov said, “If I had to think whether this was a blessing or a curse that I became world champion when machines were really weak, and I ended my professional career when computers were unbeatable, I think it’s more like a blessing, I was part of something unique.” He says, “The difference today is that machines are going after people with college degrees, political influence and Twitter accounts. But this is normal. Any industry that isn’t under pressure from technology is in stagnation.” Kasparov believes that AI will have a positive impact on society in the coming days. Since that game between Deep Blue and Kasparov, there have been many technological advancements in AI. One such achievement was the RoboCup (Soccer) in 1997, featuring matches with 40 teams of interacting robots and over 5000 spectators. A group of scientists created Robocup with the intention of using AI and robotics to promote science & technology. All these advancements and many such developments in AI have led us to develop something extraordinary to aid the humans. In the last 10 years, advances in both computing technology and software, and access to large amounts of data, (thanks to the Internet and SaaS/ Cloud-based systems) are enabling the resurgence of AI. Hardware and software are increasingly powerful, less expensive and easier to access. This allows the processing of large datasets quickly and cost-effectively. 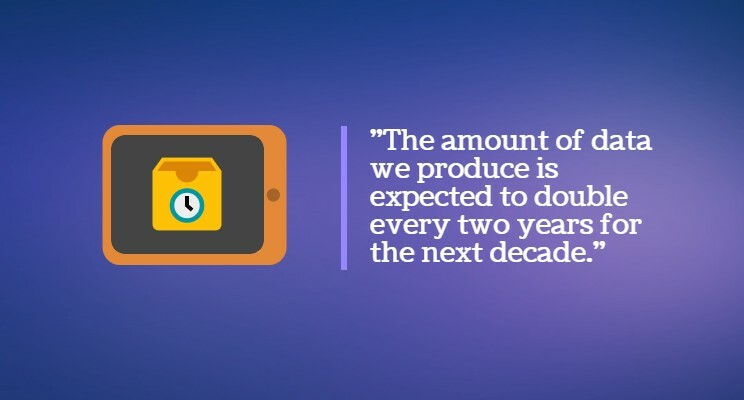 The amount of data we produce is expected to double every two years for the next decade, according to InsideBigData. This data is essential to help AI systems learn and make decisions. The more information is available for processing, the more the AI systems can learn and the more accurate their predictions and decisions will be. 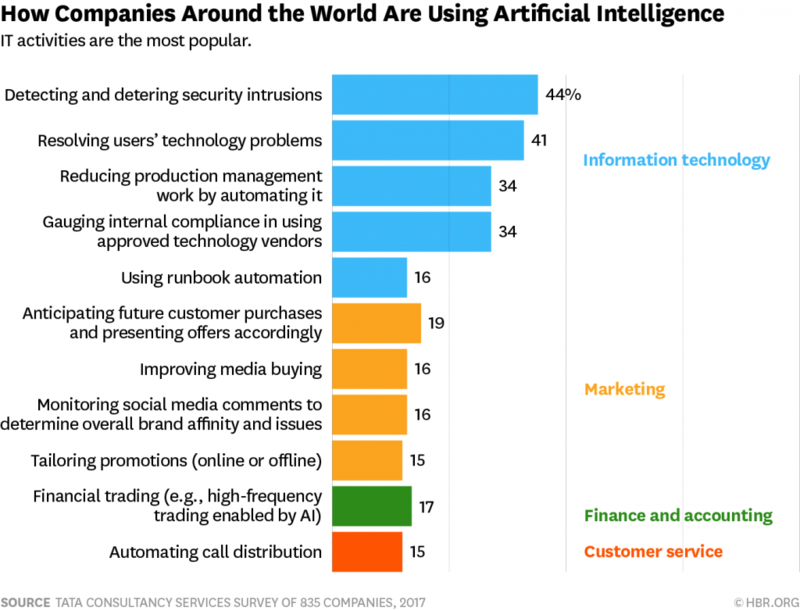 IT and Security: The most popular use of AI in business lies in these areas. About 44% of 835 companies surveyed by Tata Consultancy Services are already using AI to detect and prevent intrusions. 41% use it to solve technical problems of users, 34% to reduce the workload and automate their processes in the Production area. Gartner predicts that, by 2020, at least 75% of security Software tools will include predictive and prescriptive analytics based on heuristics, AI-based skills, and machine learning algorithms. Customer Service: Companies know how important this area is and how much it can affect the brand. And in-spite of that, sometimes, mistakes are inevitable. The Microsoft State of Global Service 2016, found that 60% of consumers stopped interacting with a company, just because they had a bad experience of customer service. People do not like to wait for hours in the line to be served, tapping numeric keys and being transferred a number of times until they can communicate with the right person. The solution to overcome these issues are “AI Chatbots”. These bots can process and analyze customer information from the first contact point and get them to the right place much faster. Data collected from their interactions provide you with useful perspectives on how to serve your customers. 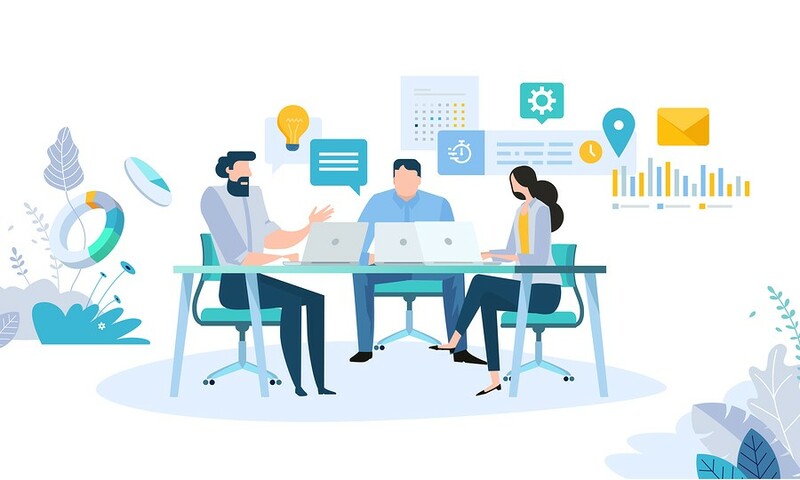 Business Operations and Decision Support: AI can help many activities related to the running of a business, such as scheduling conferences, team meetings and business trips. Very soon, AI will be able to aid us in decision making. IBM estimates that by 2025, data-based decision making tools market will be $2 trillion. 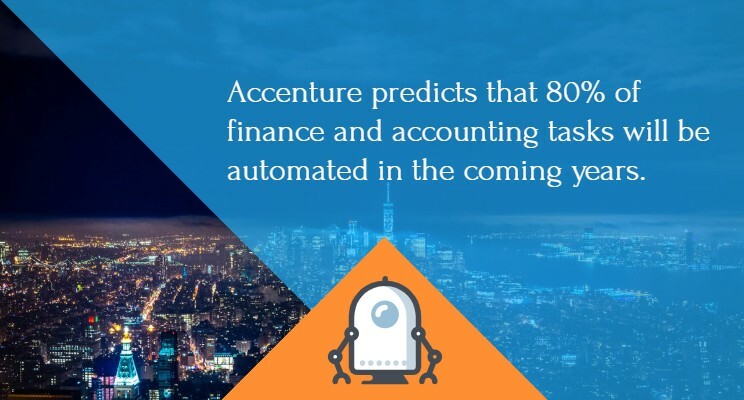 Finance and Accounting: Accenture predicts that 80% of finance and accounting tasks will be automated in the coming years. So, what implications does AI bring to the Workplace? Can you imagine arriving at your office desk and a machine lists out your tasks and meetings for the day? Well, that’s where technology is taking us with this fourth industrial revolution, led by Digital Transformation (DX). 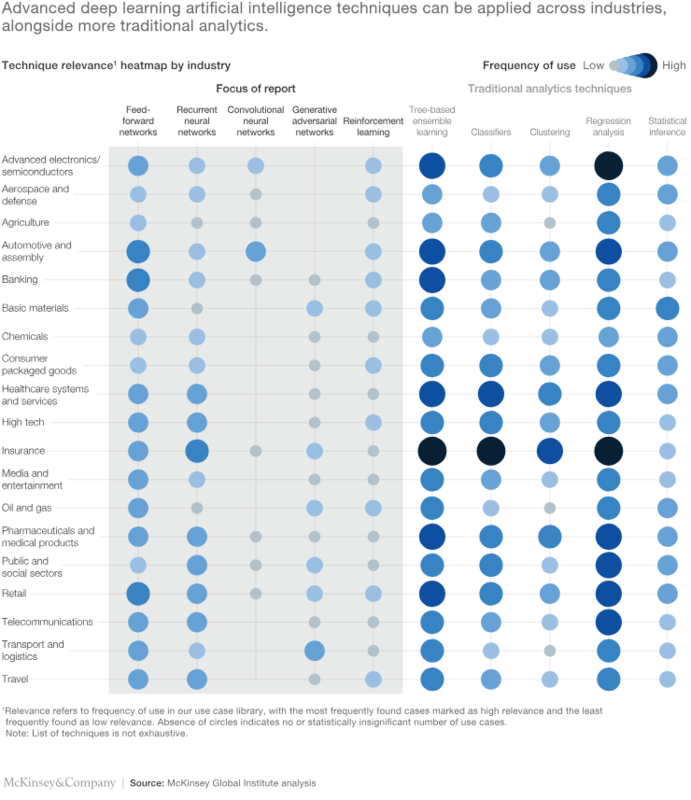 While Artificial Intelligence, automation and Machine Learning break barriers in all industries, businesses will have to embrace these technologies and understand that they are a source of multiple benefits. As AI becomes an integral part of work processes, the overall benefits will become clearer. By automating tasks, companies will be able to free human capital to focus on more interesting aspects of the projects. Implementing smarter and more compatible business processes with AI will allow humans to focus on more important challenging and creative aspects. Highly qualified people are the backbone of any organization and reducing their time in repetitive/ mundane work can be achieved through the implementation of AI-processes. Giants like Google, Microsoft, Facebook, Amazon etc. are investing 100s of millions of dollars in the development of Artificial Intelligence solutions. To showcase what’s coming, Google recently unveiled a virtual assistant called Duplex which can talk/ act like a real human and help you get your daily chores done. In the work environment, AI will allow us to work more efficiently, reduce human errors, and automate processes with the help of assisted intelligence, such as Chatbots and Natural Language Processing (NLP) tools that can simulate human conversation, answer questions or personalize learning experiences. Artificial intelligence (AI) is increasingly being embedded into the day-to-day lives of everyone, not just in the personal sphere, but also in corporate/ business decision-making across the enterprise. The predictions made by IDC clearly suggest that Digital Transformation (DX) with the help of AI is the way to move forward. This creates an urgency to redefine a new AI-based operating model, organizational structure, roles and communication strategy to manage change effectively. In 2019, 40% of all Digital Transformation (DX) initiatives and 100% of all effective IoT efforts will be supported by AI capabilities. This is because the data that comes from IoT devices and DX initiatives will have limited value without Artificial Intelligence technologies that are able to find valuable information from the data. To respond to the challenges of the DX economy, companies will have to grow their AI/ ML teams faster. Artificial Intelligence involves teams with synchronous communications, process automation and advanced analytics, so professional profiles are required in each of these fields, which are combinations of knowledge of Telecommunications, Computer Science, Mathematics, Statistics and Engineering. (Roles of AI teams) If you are a company that is considering implementing AI technology, it is advisable to start as soon as possible prepare the processes of your company for the correct exploitation of AI models. How is Digité preparing for the Artificial Intelligence/ Machine Learning Challenge? We, at Digite, are always looking out for ways to improve our product that can make a positive impact to our end user. Our tag-line ‘How work Really gets done!” says it all! We have been at the forefront of helping knowledge teams in IT, software and a variety of business functions, such as Marketing, HR, Procurement and others, work more effectively, collaborate contextually and make decisions easily by providing them the right project information at the right time, in the context of what they are doing. As outlined above, we believe AI and ML will have – in fact, are already having – a profound effect on how people work, collaborate and deliver on their customer commitments. Assisted by Artificial Intelligence, Machine Learning and Big-Data technologies, they will be able to deliver more creative and innovative solutions to their customers. Thanks to the vast amounts of enterprise-wide project delivery data collected over the past decade or more, we believe AI/ ML tools and techniques will help them detect project risks faster, perform what-if analysis much wider and deeper and make recommendations for corrective actions in a much more impactful manner than ever before. Our cognitive technologies will help business leaders get deeper and faster insights into how their people are performing and how satisfied their customers are with their performance, and proactively support them in areas where they might need help. We are building and launching a range of embedded AI tools and related services to our customers. 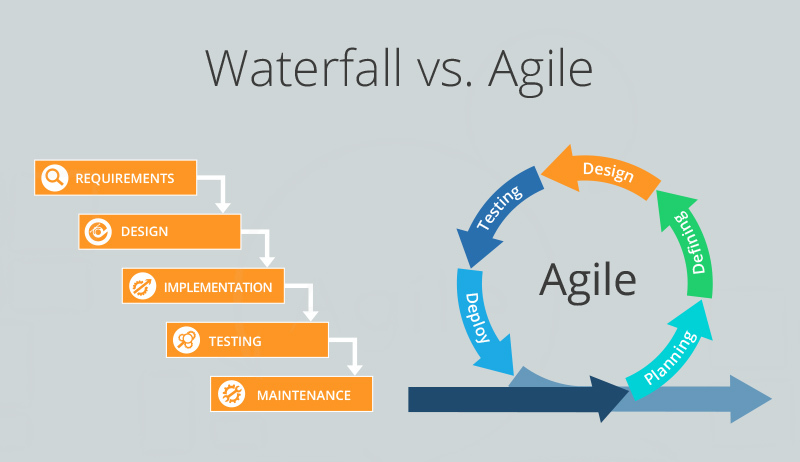 AI-driven Enterprise Agility for successful Digital Transformation – that is our mantra. Our AI/ ML tools and services will help in Predictive planning, development, testing and operations. 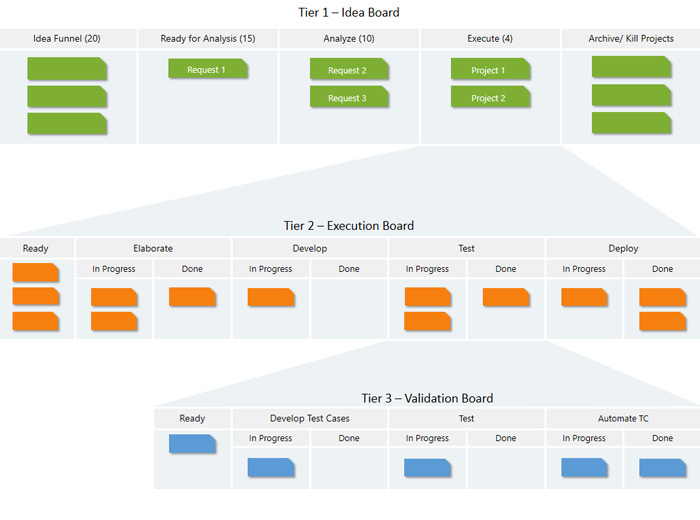 Our products – SwiftEnterprise, SwiftKanban and SwiftEASe will power the next generation AI-driven Enterprise Agility platform to accelerate our customers’ Digital Transformation (DX) initiatives. Connect with us to learn more about how we can help your AI/ ML and DX initiatives with our products and consulting services. Artificial Intelligence (AI) is here to stay and is leading an industrial revolution to make organizations more competitive and efficient. AI has already become a strategic factor to generate sustained growth and provide a competitive advantage to organizations. The challenge for all of us is how we manage the changes needed in organization structure, management culture and the investment needed in the development of skills so that the workforce has the capability to adapt to this global trend that we already find in our professional and personal lives. If you need any help with your Digital Transformation (DX) initiatives, our specialists are just an email away! 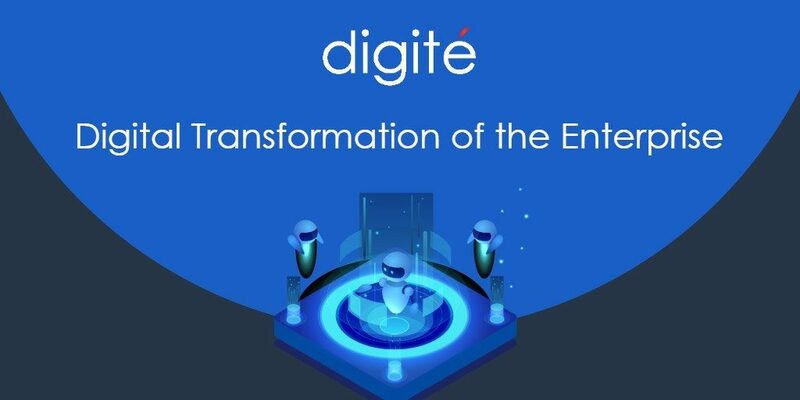 Get in touch (sales@digite.com) with us and see how we can help you Digitally transform your enterprise.